WASHINGTON, Sept. 15, 2017 — The Cassini-Huygens mission to Saturn, a collaboration between NASA and the European Space Agency, is set to end on Sept. 15. 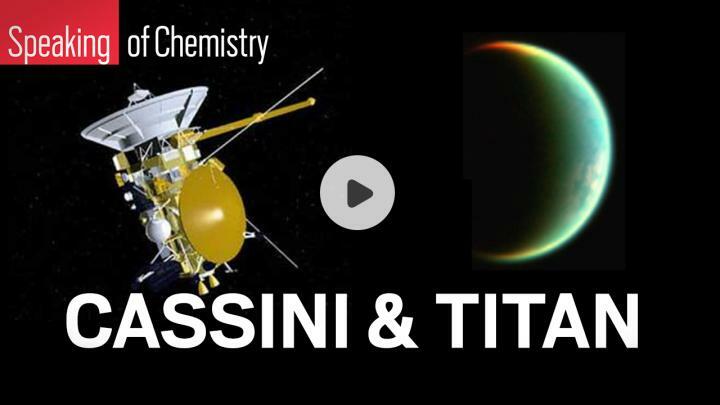 The mission has told us a great deal about the unique and unexpected chemistry of Saturn's moon Titan, and it has changed the way we think about our own planet and the entire solar system. Learn how in this video from Speaking of Chemistry: https://youtu.be/Dee0V7axuPI. Speaking of Chemistry is a production of Chemical & Engineering News, the weekly newsmagazine of the American Chemical Society. It's the series that keeps you up to date with the important and fascinating chemistry shaping the world around you. Subscribe to the series at http://www.youtube.com/cenonline, and follow us on Twitter @CENMag.